Melissa J. Gismondi is a historian and journalist, currently based in Toronto. Jagmeet Singh’s name has become nearly synonymous with the word charisma. 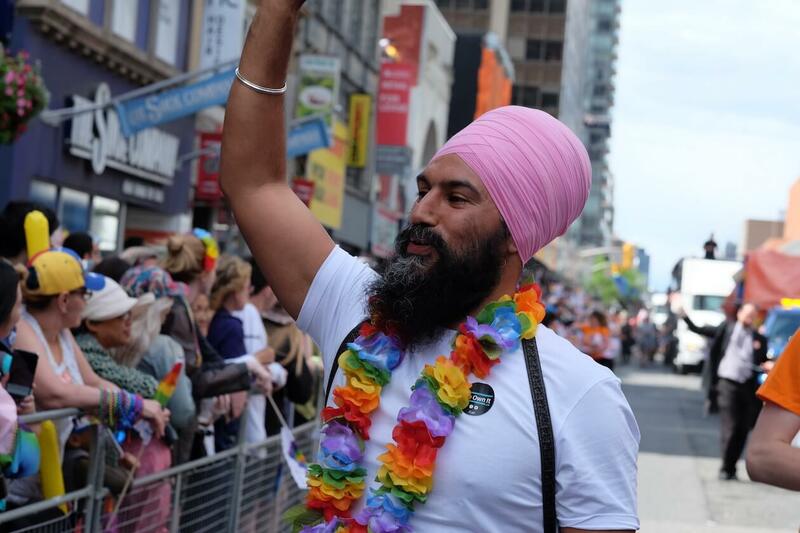 After he became the NDP’s leader earlier this month, the National Post declarded that the “NDP aims to fight fire with young charismatic Jagmeet Singh as leader.” Vice News attested that “Jagmeet Singh invented charisma.” Reports and editorials in the Toronto Star, the Guardian, the New York Times, GQ, and other outlets echoed the sentiment, highlighting Singh’s youth, fashion choices, and engaging social-media presence. They also drew inevitable comparisons with Justin Trudeau, who has been featured in Vogue, Rolling Stone, and Esquire, and whose socks have sparked public discussion and punditry. So far, discussions of Trudeau and Singh’s charisma have revolved around their style, although there is no standard definition of what we mean when we say a politician is charismatic. Originally, charisma referred to religious leaders who had a godlike quality to them. In the early twentieth century, the German sociologist Max Weber applied it secularly in his concept of “charismatic authority.” For Weber, charisma referred to a supernatural but, more broadly, “exceptional” quality that others detect in an individual. Because of this quality, the person is treated as a leader. Weber’s theory foreshadowed the rise of powerful figures like Adolf Hitler and Mao Zedong. 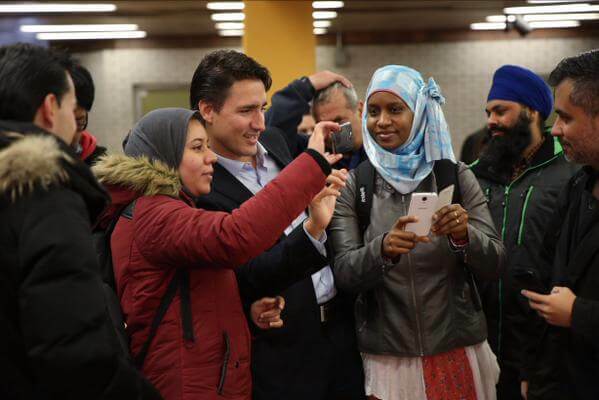 Today, with the rise of widely distributed and highly visual social media, Weber’s emphasis on detection, how people see leaders, helps explain why Singh’s and Trudeau’s styles have proven to be such important aspects of their charisma. As Louise Carbet, a professor of political science at Dalhousie University told me, “Charisma doesn’t inhere in the politician; it’s a quality that exists in the mind of the citizen.” In other words, charisma is not how people actually are but how we perceive them. Like beauty, charisma is in the eye of the beholder, which elevates the role of fashion in shaping public perceptions. The popularity of Singh and Trudeau suggests that we are creating a new expectation for our political leaders that includes not just ethics, accountability, and qualifications but also the looks and style of a cover model or Instagram celebrity. So far, this has led Singh to talk about Justin Trudeau’s hair as well as his policies. While answering questions in Quebec about his Sikh faith, Singh said that underneath his turban is a lot of hair. In a not-so-subtle reference to Trudeau, Singh noted that there is another famous Canadian politician who is known for his hair. But “I have more hair, and it’s longer, and it’s nicer,” Singh asserted. Sparring over who has more luscious locks is an important indication of how distinctly male this type of charisma is. It is concerned with physical appearance, but in a playful way that makes candidates appealing and likable, not intimidating or shallow. Singh and the Conservatives (remember the 2015 attack ad that ended with “nice hair, though”) can tease Trudeau because it doesn’t seem serious. But this playfulness only works because the politicians involved are men, and politics, more broadly, is still a world mostly inhabited by men. So where, then, does this leave women? Can women in politics be charismatic? Talk of style is usually reserved and, indeed, expected for spouses; Sophie Grégoire Trudeau and Michelle Obama, for instance, have both been featured in Vogue. Commentators regularly discuss what spouses wear—or, in Obama’s case, her toned arms—while designers flock to dress them. By contrast, women who are elected representatives or seeking positions of political power have to work from a different script precisely because excessive discussion about a woman’s looks risks delegitimizing her and her ideas. It is hard to imagine Singh’s only female opponent, Niki Ashton, winning political supporters with a feature in Elle Canada. “Women who seek to raise their profiles risk being trivialized and dissected along the lines of body image, hair, clothing, and so on—which, in turn, overshadows whatever substantive content they may bring to civic discussion,” says Sylvia Bashevkin, a professor of political science at the University of Toronto. Bashevkin points to Hillary Clinton as a classic example. Critics go back and forth between lambasting Clinton for dressing too conservatively and not conservatively enough. In 2007, for instance, Clinton, who was then a senator for New York and preparing for her first presidential run, faced scrutiny for wearing a pink blazer and black top that showed the slightest amount of cleavage. A Washington Post column, provocatively titled “Hillary Clinton’s Tentative Dip Into New Neckline Territory,” called the cleavage “an exceptional kind of flourish.” At once criticized for a “sexual” and “feminine” wardrobe, pundits also chide Clinton for wearing “such bad clothes.” This back and forth also played out in 2016, when critics ridiculed Clinton for her boring pantsuit uniform on one hand and for wearing a stylish Armani jacket on the other. In What Happened, Clinton’s new book about last year’s US presidential election, the former candidate says her decision to adopt a pantsuit uniform early in her political career was “an anti-distraction technique: since there wasn’t much to say or report on what I wore, maybe people would focus on what I was saying instead.” We know that Clinton’s tactic rarely worked. Instead, she was often dismissed by Republicans and pundits, such as NBC‘s Joe Scarborough, for being too serious when she was talking about policy or for not smiling enough. “She just comes across as my bitchy wife/mother,” one Republican texted his friend, conservative pollster Frank Luntz, who released the text in a tweet. Women in Canadian politics face similar controversies as they struggle to find a safe middle ground between style and blandness. Just last month, Catherine McKenna, minister of environment and climate change, was publicly criticized for her hair colour. In response to a report that no major industrialized economy is set to meet the guidelines of the Paris climate accord, Conservative MP Gerry Ritz tweeted, “Has anyone told our climate Barbie!” (The tweet has since been deleted.) And in 2011, BC MLA David Schreck tweeted, “Is Premier [Christy] Clark’s cleavage revealing attire appropriate for the legislature?” Although Schreck later apologized, he defended his assertion that Clark’s dress and blazer were unseemly. That same year, NDP MP Rathika Sitsabaiesan wore a white scoop-necked top for her official photograph on the House of Commons website. It appears, however, that the photograph had been Photoshopped to raise Sitsabaiesan’s neckline and erase cleavage. Mark Austin of Old Barns, Nova Scotia, alerted the media to the issue after a Google search for Sitsabaiesan produced another version of the photograph that showed a lower neckline and some cleavage. Heather Bradley, director of communications for the Speaker’s office, told the National Post at the time that MPs approve their final photo, which led some to speculate that Sitsabaiesan had requested the touch-up. Regardless, the Post story, headlined “the case of the disappearing MP cleavage,” highlights the difficulties women in politics face when it comes to how they dress. Two weeks ago, Celina Caesar-Chavannes, an Ontario Liberal MP, adopted a similar strategy when she used her braids to draw attention to reports that girls and young women have been banned from school because of their hairstyles. “Body shaming of any woman in any form from the top of her head to the soles of her feet is wrong,” Caesar-Chavannes said. She then explained her decision to wear braids was not only because they “look pretty dope” but also, more importantly, to show girls and young women that their diverse hairstyles, from dreads and weaves to hijabs and head scarves, “belong in schools, in the workplace, in the boardroom, and, yes, even here on Parliament Hill.” Unlike discussions of Trudeau or Singh’s style, Caesar-Chavannes’s speech generated little publicity among mainstream media outlets. Moreover, outside of a performative statement, women’s bodies remain frequent targets of ridicule. While some voters are already finding themselves disillusioned with the inability or unwillingness of Trudeau to follow through on expectations, it remains to be seen how Singh will fare. But as we gear up for what should prove an interesting couple of years in Canadian federal politics, it is worth recognizing the gendered ways that we define charisma, and we should start privileging political vision, action, and tenacity—not just flashy suits. Socialism Is Back. Is the NDP Listening?